The Sims 4 Update Version 1.46.18.1020 OUT NOW! We are happy to bring you the next update on The Sims 4, namely patch version 1.46.18.1020. This torrent already includes the stuff from the previous 1.44.83.1020, 1.44.88.1020 and 1.45.62.1020 patches. Therefore, you can apply this download directly on top of "The Sims 4: Seasons". As usual, this G4TW repack already includes all 17 language versions. Many special thanks to @Sim Architect for compiling the update, and @anadius1 for general advice and helping compile the language strings! Finally, if you downloaded a repack of the same patch from a different source than G4TW, you will likely find only one in-game language to be available. Use the following language string pack (simply copy and paste these files over your Sims 4 installation, overwriting existing files when prompted). EDIT: Please do not delete the old Game Folder. There was a mistake in the instructions where it says to delete the old Game Folder. Your game will not work when you do that. If you still deleted the Game-folder (accidentally), please re-download a Game-folder above, where it says it is intended for ZLOrigin users; you can use these as well. 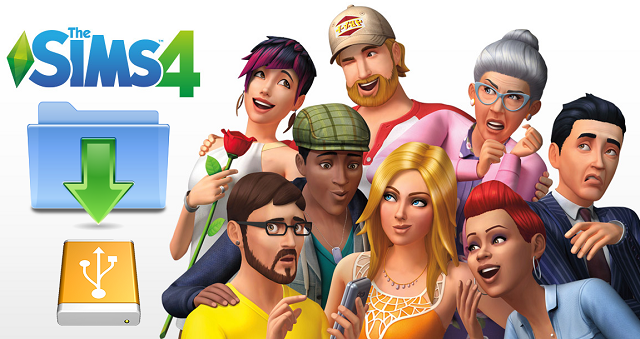 Re: The Sims 4 Update Version 1.46.18.1020 OUT NOW! As always, thank you for the direct download. This thing is huuudge! Thanks for the update. You'd think as large as some of these patches are they'd actually have more than bug fixes. This one includes a lot of new stuff, but some of their bug fixes are as large as some expansion. There is a new tea table, potted plant, living chair, loveseat, and painting. Do we know if this patch fixes the suddenly missing interactions from Parenthood? I recently downloaded all the games and DLC from this website and it's been playing great! Better than I'd hoped. And then today I noticed the interaction to scold children for cussing has disappeared. I found an old thread from a year ago discussing this very issue, and reinstalling an old patch to solve was brought up. I wouldn't know how to do that correctly. But I did follow the link provided by another user in that thread to stating to fix permissions, and that didn't seem to help. Any advice would be appreciated. And thanks for all these! I've been addicted for a solid week now. with this update we don't need the last updates(1.44.83.1020.1.44.88.1020.1.45.62.1020) ?? I can't seem to get the patch, the adfly it sends me to spits up popups that demand I take some shady extension and allow notifs. It won't let me get to the patch at all no matter where I go in. Can someone please give me a direct link? @HedraHelix wrote: I can't seem to get the patch, the adfly it sends me to spits up popups that demand I take some shady extension and allow notifs. Is there a reason why the downloads are locked behind an ad.fly now? Ad.fly is notoriously bad for its popups and stuff. I appreciate the work that goes into all of this, but it's risky. My tip is using Internet Explorer to load the link. None of my web browsers work with the new link system except for this one. @Kyori wrote: All of this. Is there a reason why the downloads are locked behind an ad.fly now? First off, we have been using adfly for nearly 2 years now. Second, we are saving up for future new platforms such as a new Minecraft server, website & maybe private filehosting solutions. Third, for this 'interim period' we are running a premium plan for this - otherwise free - Forumotion Forum, which includes the ability to use custom domains (we have purchased a number of domains as well), an SSL certitificate, improved search function, and more. Yes, these things cost money. Fourth, I'm pretty sure most people are unaware that the choices for "legitimate" ads on a platform like G4TW are generally limited and rather tricky to set up...to put it very politely. While we know this is an un-popular decision, the G4TW administration has made it clear that we are to roll with this, until further notice. And by extension that also means we do not encourage posting "alternative download links" (a.k.a. non-adfly links) to our repacks. again, it is within your prerogative whether or not you want to support the ad-fly; just as it is within your prerogative to grab your downloads from a different source than G4TW. Woohoo! Thank you so much G4TW! The update works fine! By me not working with the Mods and CC. Any help? @BobGeorge wrote: By me not working with the Mods and CC. Any help? You need to update them in order to work properly with this version of the game.. NOTE: Please do not delete the old Game Folder. There was a mistake in the instructions where it says to delete the old Game Folder. Your game will not work when you do that. So, should I merge and replace or create another folder? I didn't see the instructions and deleted my Game folder. Is there anything I can do without reinstalling the whole game? Edit: Fixed it! If anyone else messed up like I did, I installed the Game folder here before installing the Seasons one and then this one (just the Game folders from the G4TW torrent because I didn't know if the zlOrigin games folders would be the same). Just merge/copy and paste the update from Sim Architect over your "Seasons" Sims 4 installation, or an installation with a later follow-up patch (1.44.83.1020, 1.44.88.1020 or 1.45.62.1020). @dreamsandsims wrote: I didn't see the instructions and deleted my Game folder. Is there anything I can do without reinstalling the whole game? You can or should be able to take one of the "Game"-folders that are posted in the opening message here; those that are mentioned "for the ZLOrigin people". Still, you can use those too. Before downloading the file I paused my antivirus and also put my Sims folder and the downloads folder for the file into the firewall exceptions list. After installing I tried to open my game but I'm now getting the OrangeEmu64 error, which previously only appeared when I had antivirus runnng during the installation process. But right now it seems like I'd done everything right. Any ideas what might have gone wrong? If the file for the update would've been a RAR file, then the problem would be fixable, as it has been previously, but right now I don't know what to do. I used the same methods to download one of the ZLOrigin Game folders and the game started up perfectly fine! Hi, new to the forum but long time downloader... Much appreciated by the way. Usually when I download it is a rar file that i extract. However this update you have made an iso? I'm not sure on how to use it? Howcome it's not rar anymore? Can anyone send me new instructions on how to install with iso. My whole sims 4 game is from this site not ea or origin btw. @thetron95 wrote: Hi, new to the forum but long time downloader... Much appreciated by the way. Because Sim Architect is compiling these updates, nowadays. I used to do it myself, but due to certain 'changes' I am re-allocating my time and resources that I want to invest in G4TW. I can assure you on behalf of the team, that while Sim Architect may be new to this area, we will do our utmost to still bring you safe & functioning repacks. He also suggested we use .iso files for these updates, so we will do that. You can open .iso files in Windows 10 (and I believe Windows 8 too), by opening them in the explorer, I think. If you have an earlier Windows version you may need to use a third-party program like PowerISO for instance. Other than that, you "open" an .iso pretty much like a .rar file, and just drag/drop the update files out of it. With Windows 10 (I think also 7 and 8 ) you just right-click on the downloaded iso and select Open with ... Explorer. It then behaves like an additional Disc-Drive. Yes! That's why I wanted to use ISO. You just double click on Windows 8, 8.1 or 10 (Reference) and the system will emulate and open the virtual drive for you! Another thing, if I am not mistaken, KAT would not accept RAR torrents but they would take ISO (so long ago, I might be mistaken, as always). One more implementation is that we dropped TXT readmes for rtf ones, since it's supported for decades now, and nobody is going to run current games on DOS. Of course, if we release DOS games then proper care will be taken.